Gail Leeks’ family is fighting to keep a home that’s been in their family for two generations. Gail’s mother, Marjorie Gibson passed away after a battle with cancer. After Majorie passed away, Wells Fargo Bank sent the family a foreclosure notice. When Gail contacted the bank, giving them notice that her mother left the home to her in her will, the bank refused to negotiate the loan or give her loan information because they claim that they can only negotiate with the borrower. But after a petition was circulated and 160,000 people signed, Wells Fargo backed off, and is currently working with the family. Unfortunately stories with a positive outcome like the one above are few and far between. The housing crisis continues and all of us are fighting in every way we can to make change possible. According to a report by Urban Strategies Council, “Who Owns Your Neighborhood: The Role of Investors in Post-Foreclosure Oakland”, 42% of all foreclosed homes in Oakland have been purchased by private, out-of-town investors, and off those properties, 93% of them are located in Oakland’s flatland neighborhoods. These are the same communities that continue to suffer from a history of disinvestment, redlining and abuses by predatory banks and landlords. Foreclosures are the latest in a long line of exploitative policies and practices that we have had to battle. Black and Latino families, elders, people with disabilities and those with little or no English language capacity are some of the hardest hit by this crisis. It is horrifying experience to witness an auction where foreclosed homes are put out to sale. Investors show up with cash in hand, talking into the cell phones with business partners and wheeling and dealing with each other. The impersonal way in which the homes of real people are bought and sold like marbles, is heart wrenching to watch and can bring on feelings of great outrage. In every case, homes are being sold at prices far below what the homeowners owe in their loans. But instead of re-financing these loans with the people who already live there, the banks would much rather sell it at a greatly reduced rate to an investor — often leaving the family with nowhere to go. As homeowners are pushed out more people are driven into the rental market. This drives the price of rent steadily up. In Oakland, the average cost to rent has gone up 14% since 2010 to over $1,800.00 and San Francisco has seen a nearly 13% increase in the same time period, bringing San Francisco county’s average rent to more than $2,700.00. Both Oakland and San Francisco are cities where the majority of residents are tenants, which means that many people are at risk of homelessness, displacement and other forms of housing insecurity. Communities have to fight back! More people in our cities and around the country are standing up to this crisis. 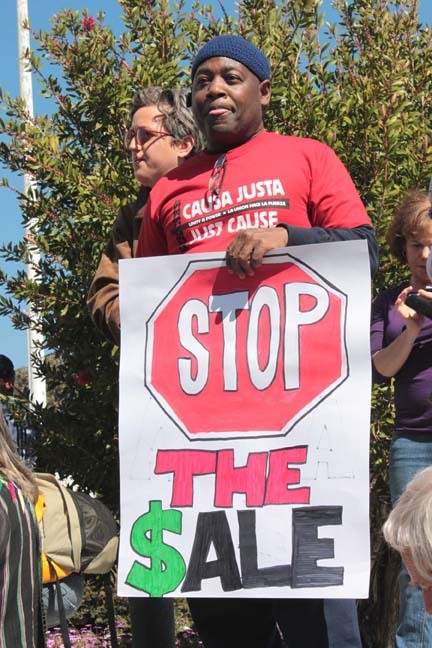 Causa Justa, along with our national alliance, Right to the City is joining with community organizations and Occupy groups across the nation to put the pressure on the one bank that ALL taxpayers are shareholders in – Fannie Mae and Freddie Mac. These two entities, control half of all the residential properties in foreclosure in Oakland and San Francisco. Nationally, they control over 7 million underwater mortgages (properties where the homeowner owes more on their loan to the bank than the home is worth). There is a growing call for Fannie Mae and Freddie Mac to reduce principals on loans and forgive the debts of borrowers who are in danger of losing their home to foreclosure because payments are too high. 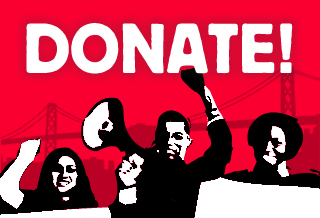 Join our local campaign in Oakland and San Francisco to take back our homes. We need to build a movement to demand that Fannie Mae and Freddie Mac serve the 99% and not the corporate interests that benefit from the evictions and displacement in our communities. Edward J. DeMarco, the director of the Federal Housing Finance Authority (FHFA) who is in charge of Fannie Mae and Freddie Mac. DeMarco has blocked a plan by the Obama administration to forgive some of the mortgage debt owed by underwater homeowners and is the reason why Fannie Mae and Freddie Mac have not changed their policies to keep people in their homes. Contact robbie@cjjc.org to join our campaign!